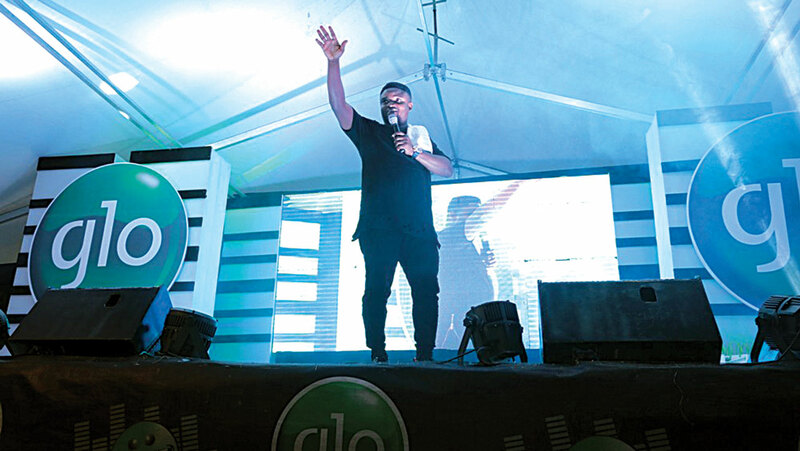 The quiet town of Anyigba in Kogi State came alive last Sunday, as Glo Laffta Fest hit the town. Lining up to thrill students and other members of the Kogi State University community were some of the best comedians in Nigeria. They included Godwin Komone, generally called Gordons, Bovi Ugboma and Benneth Daniel, better known as Acapella. With the massive publicity organiser, Globacom, gave the show, the university’s sporting complex venue of the event, had started to fill up as early as 8 a.m. even though the show was scheduled to commence by 1 p.m. The three humour merchants combined with others such as Osama and Arinze Baba to unleash undiluted comedy and fun, made up of largely students, school administrators, lecturers and other residents of Anyigba. First on the programme was the performance by aspiring comic talents who proved their mettle with commendable deliveries. They were followed by the bearded Osama. It was an engaging performance, which whetted the appetite of the audience for more. Senator then took his turn to entertain the audience with his unique blend of jokes. The highpoint of his show was when he re-enacted the different ways he said various tribes respond to some popular religious songs. Towards the end of his performance, he invited Osama back on stage and together they played out how Igbo traders count money, while listening to a particular gospel song. This threw the hall into wild laughter. Arinze Baba followed next and also thrilled guests with a humour-packed delivery. The bigger name comedians of the night, Gordons and Bovi, came to the stage thereafter and brought the show to a climatic end with lots of memories for members of the university community. Nollywood actresses, Mercy Johnson-Okojie and Juliet Ibrahim, were the show anchors, while Sani Danja and iconic actor Kanayo O. Kanayo, were the celebrity guests. There was also DJ Lambo, who supplied soothing songs from her music machine. The next edition of the fest holds in Lokoja, Kogi State. Thereafter, the show train will move to Port Harcourt for the second time, Onitsha, Makurdi and then Ajah in Lagos. To attend, Glo subscribers are required to use up to N2,000 credit within one month and text LOL with their preferred location to the short code 240; for example, “LOL Lokoja” to 240.